The country's premier commodity exchange Multi Commodity Exchange of India Ltd (MCX) has launched 1 gram gold contract namely Gold Petal futures contract, which is primarily launched targeting small traders. 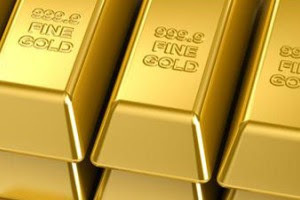 Already there are many such contracts developed by MCX like Gold (1 Kg), Gold Mini (100 grams) and Gold Guinea (8 grams). The trading unit of the gold contract is 1 gram and the initial margin required to trade will be 4%, which would be around Rs.100, based on current market price of Rs.2100. The delivery of contract is possible in dematerialised or physical form, but the minimum quantity has to 8 gm.The physical delivery is available in multiples of eight gram coins with London Bullion Manufacturers Association (LBMA) certified 999 purity. The delivery centers are G4 Securitas at Mumbai, and other major cities. There are many Gold ETFs like Gold Bees by Benchmark funds and many other ETFs by various fund houses like Reliance, HDFC available. Small investors can take the route of ETFs rather than the current product by MCX, since this would lead them to margin trading. This is because many are unaware of the risks involved in margin trading and their consequences of it. Hence it is better to buy gold only through ETFs. Be a wise investor ! Small investors are safe, if they stay from commodity futures. what is the difference between E-gold (NSEL) and gold petal(MCX)? both offer trading and delivery. E-gold is a delivery product, you have to pay full amount. Gold petal(mcx) is trading product, you have to pay just 5% margin. Avoid gold petal, since it involves rollover every month and other costs involved with it. If you want to invest, choose between E-gold or Gold bees. MCX is multi commodity exchange, where commodity futures are traded. NSEL is national spot exchange, where you can buy and hold in dmat form, for commodities like gold. You can take delivery, from NSEL. 2.gold petal is 1gm and gold guinea is 8gm futures traded on MCX. This is a trading product and investors need not venture into this.